Cable ladder for infrastructure projects. 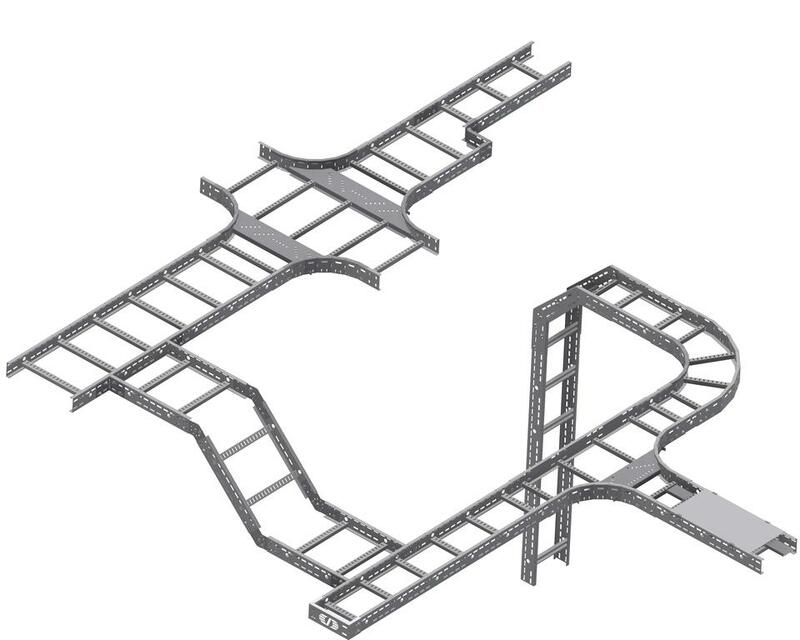 TOE is a cable ladder system suitable for long support spacing, for heavy loads and when exposed to vibration. The cable ladder system is typically used for supporting cabling for HVAC, lighting, surveillance, radio, communications and signage. 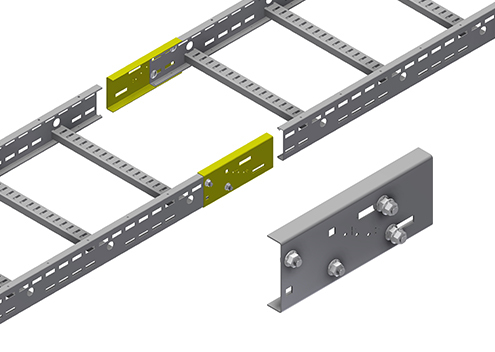 The TOE system is suitable for use in a variety of infrastructure environments including land and subsea tunnels. The rungs of this cable ladder system are particularly strong and the system has support spacing typically ranging from 3 to 6 m. It is complemented by a wide range of accessories including expansion splices, radio wire holders and lighting accessories to name a few. Different ladder heights offer several choices for efficient positioning of the loads and full optimisation of the area, including possibility for future expansion. 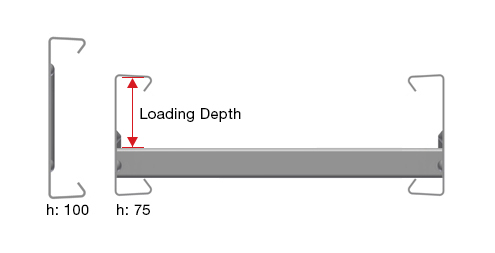 D=Loading depth. 200, 300, 400, 500 & 600. TOE cable ladders have extra strong rungs. The pattern allows for optimal fitting of both cable ties, short circuit cable cleats and tubing clamps without compromise. The design reduces the possibility of any liquids to permanently gather and pool. Material choices offered have been carefully considered in order to avoid corrosion whilst maintaining cost advantages. 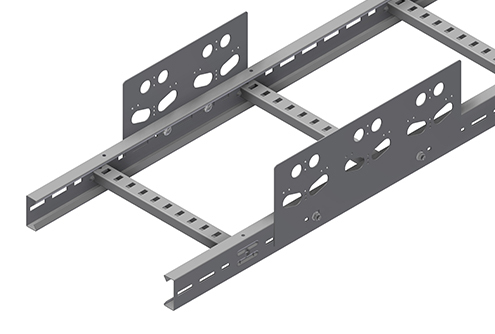 Plates for attaching electrical sockets to cable ladder or -tray sides. 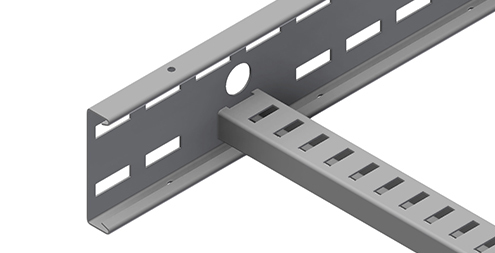 Splice connector with an expansion zone for attaching long rungs of TOE/LOE ladders together. The expansion zone prevents deformation of the cable ladder due to expansion and contraction due to temperature variations. Download our free calculator for splice fitting data. Remember earth link jumpers at expansion splices. 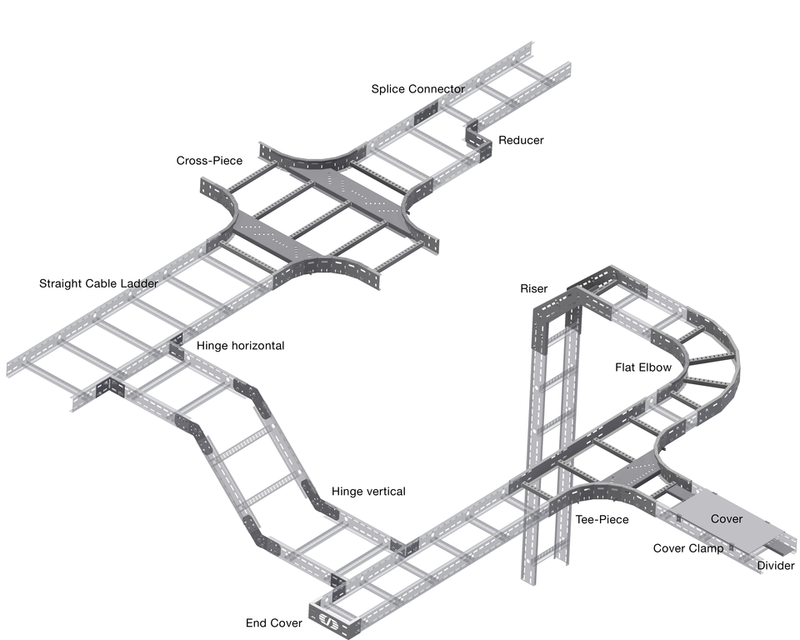 An overview of our support solutions for tunnels.